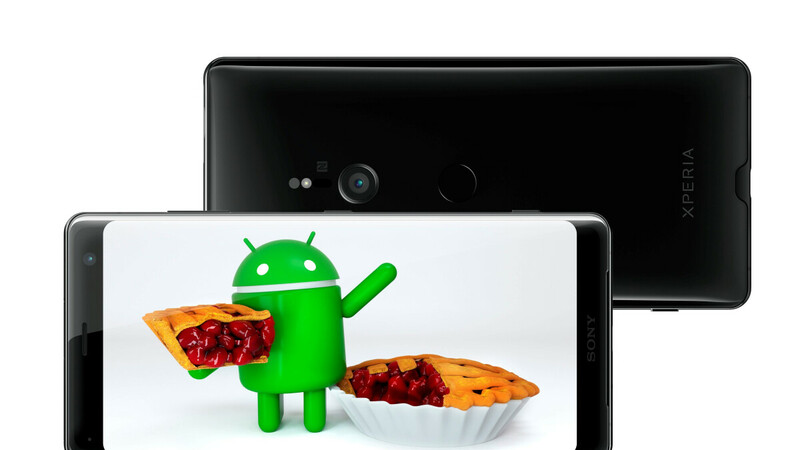 Following Google’s early August rollout of stable Android Pie goodies for the first two Pixel generations, a number of Sony smartphones were officially confirmed for software updates of their own kicking off in November. But surprise, surprise, the Xperia XZ2 and XZ2 Compact moved up to OS version 9.0 even earlier than that, not to mention the (overpriced) Xperia XZ3 saw daylight with a juicy slice of Pie pre-loaded. Next up, one of the heavyweight champions of Android Oreo updates expects to be able to start the 9.0 Pie rollout for three additional “premium-range” devices on October 26. That’s next week, and the lucky three are the original Xperia XZ Premium, XZ1, and XZ1 Compact, although obviously, spreading the love worldwide may take a little extra time. Curiously enough, the impressive Sony Xperia XZ2 Premium is slated to follow the suit of its humbler cousins and forerunners on the Android Pie bandwagon rather than getting the ball rolling itself. But we can’t really complain of a scheduled November 7 9.0 release date when Samsung’s latest flagships are barely expected to leave Oreo behind next year. Lastly, the mid-range Xperia XA2, XA2 Ultra, and XA2 Plus are still “bang on schedule”, looking at a March 4 Android Pie update start. That’s pretty specific for something expected to happen almost five months down the line, although so far, very few bugs have caused delays and serious issues for device manufacturers eager to embrace Google’s newest platform version. Adrian you talk about the Xperia XZ3 being overpriced. Yet Apples devices are really overpriced. Also the XZ3 has a QHD+ OLED display, and it is also Sony's first Daydream VR compatible smartphone. It even has built in 3D scanning software as well for both AR and VR. Plus more. Just hope it doesn't come with a buggy software.. Sometime, I prefer slow but super stable update to a rush one. My XZ Premium was smooth like butter after Oreo update and it won quite a bit in battery life. Why is the writer calling the XZ3 overpriced without any justification ?In this day and age $900 is no longer overpriced. Let @PA keep opinion pieces separate and news separate. Actually $900 is overpriced. I don't know what made you think otherwise. Came here to eat some crow over your statements that Sony doesn't update consistently or fast enough? It depends on what features you are willing to pay for. Sony has excellent cameras and a great build. It can also play PS4 games you own,remotely. This alone makes it worth $900 for some. Since I don’t own one but I am sure others who have them can give a better picture of its features. In general, yeah I wish no smartphone should cross $900. But calling out only Sony is incorrect. Tbh I don't know why ppl keep buying phones at these exorbitantly high prices when manufacturers keep stripping away hardware and software features. I remember back in the day phones had IR blasters to control cable, ac units and such like, hdmi out, headphone jacks and so on but all these things have been removed and the prices keep soaring. So am I missing something or am I to simple to understand why these greedy cooperations want more of out money while taking away features. Because exactly all the ports you mention are replaced by wireless technologies. I don't need an IR blaster to control my TV, there is Google Home and Sony TV for that, also therefore I don't need HDMI out etc. But can you go into any other location and control the ac unit, stereo or other equipment? Yes I know they have replaced all those hardware stuff with software technology but it doesn't make the phone better or worth more money. Example we have blazing fast Internet compared to Dail up but when the electricity is off everything goes dead but with dial up the phone would still work so because you advanced in technology doesn't necessarily mean it's better.